Conditions: Slightly hazy sunny day, cold temps, firm fast snow, perfect groomers, and a great park. Flex: This board is on the softer side overall. You’ll notice that right away. It’s one of those boards that has a lot of play in the tips through the insert pack then stiffens up just a bit in the middle where the camber is. The torsional flex is overly abundant. Stability: Stable for a jib stick not so stable for anything else. 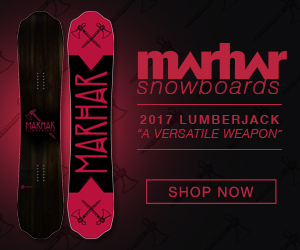 This is a board you’ll feel everything with. You’ll get bucked around in uneven terrain, you’ll get bucked around when you charge fast. Ollies: Alright so here’s the thing you would think for a board this soft it would have no spring to it. That’s where you would be wrong. This is a deck you can send it with. That micro camber zone creates a flex point that rebounds and lets the deck boost. It’s easy to engage and has an optimal return. Pop On Jumps: Keep it on the small to lower medium stuff and you’ll be fine. There’s just not enough stability in this board to land anything bigger. Butterability: Joking around I decided to hold a tail press across a cat track, then kept holding it through another cat track, and finally put it back down on a run. This board is a butter beast. It holds them well and still gives you just enough rebound to pop out of them. It’s a board for someone learning to butter and have fun with it. Jibbing: The one thing I will say is on kinked rails this board sometimes sets itself down. It’s just that soft so you end up having to hold the press and not relying on the board to do it for you. Is it easy to jib with? Oh hell yes. It locks in to board slides with ease due to the camber between the feet. Carving: Surprisingly this board can carve. Yes you can over power it and cause the tail to fold when really driving it aggressively. That’s just the nature of a board like this, but if you’re doing set up carves going into a feature or just ripping a turn or two outside the park it’s got you covered. Rider in Mind: Progressing freestyle rider. 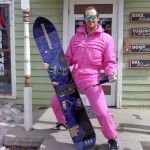 Personal Thoughts: So this is the little brother to the Jibsaw and it fits perfectly in the Rossignol line. It’s one those decks that is suited for someone learning the ropes in the park and wants a forgiving board that still has boost. I won’t lie this board surprised me with how much pop it had.